FK talks to Helen from her label, Kanimbla Clay about being nestled between the hills and trees of Kanimbla Valley (NSW). 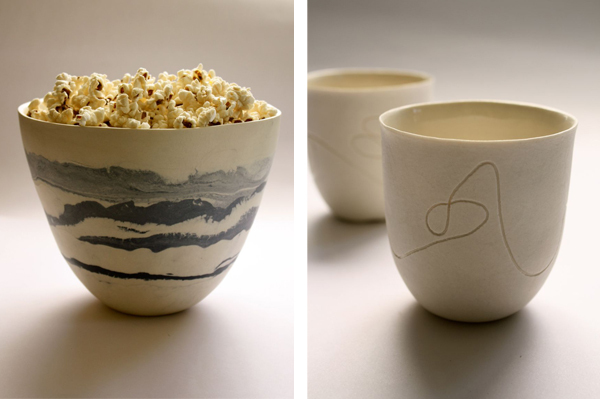 Tell us about your ceramics label, Kanimbla Clay? 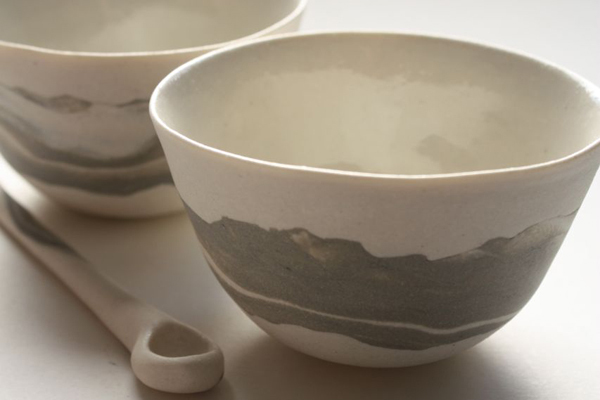 I started Kanimbla Clay in 2010 with the idea of creating beautifully handmade homewares that feel lovely to hold and were practical to use. I felt that the world was getting a bit tired of mass produced, so I wanted to create a product range that could be used everyday, and that had a unique quality that only comes from the handmade process. What is your creative background? After high school I went off to college and did an intensive year course in art and design. This basically introduces you to every aspect of the art world so you can hone in on what you want to go onto study. I went into college believing fine art was my path and left with a huge passion for clay. From there I went onto university and graduated with an HND in Ceramics and Glass. That was a great experience as I got to incorporate clay and hot glass together into my work, and I was also encouraged to utilise the metals workshop. I had a great time experimenting with different materials and ideas over those years. 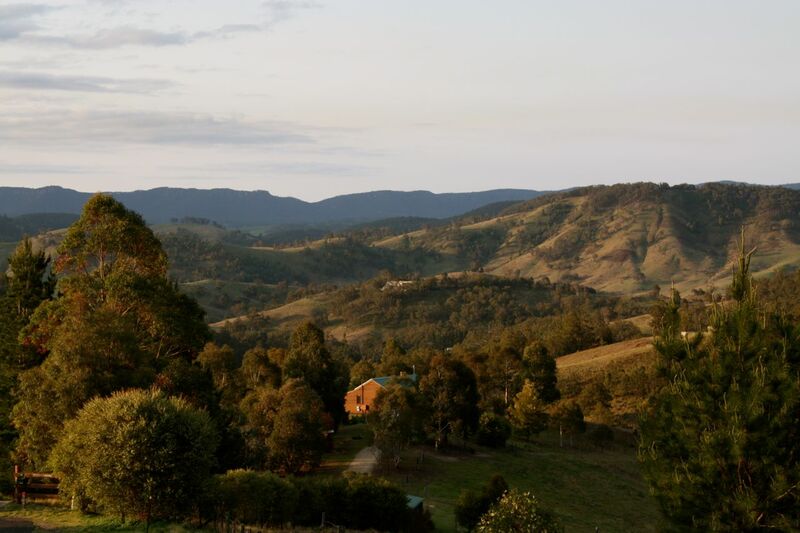 Describe your workspace and creative surroundings in the Kanimbla Valley. I am fortunate to have inherited a big colorbond shed, I’ve never had a space like it before. My previous workshop had a holey roof, feral cats living in it and it flooded every time it rained! I started off with just a small corner in the shed and have slowly taken over 3/4 of it as Kanimbla Clay has grown. My workshop is nestled between the hills and trees of Kanimbla Valley, which is just past Mt Victoria in the Blue Mountains, NSW. It is a very beautiful and inspiring place. Every morning I lift up the roller doors to some pretty amazing views. Last week I had a wedge tail eagle fly a meter above my head, that was pretty special. What do you love about running your own label, and what are some challenges? What I really love is being my own boss, and the satisfaction of designing and producing my own ideas. The hardest thing for me is keeping up. I do all the designing, making, firing and marketing myself, it can get quite exhausting. But a the end of the day, its mine. The biggest reward is when someone loves it as much as I do. I had a customer at Finders Keepers do the rounds at the market 4 times after she had held one of my ‘Bird” beakers. She came back and bought 2 of them as she said she couldn’t stop thinking about the feel of the piece. That’s really lovely, as I strive to make my work to the highest quality. 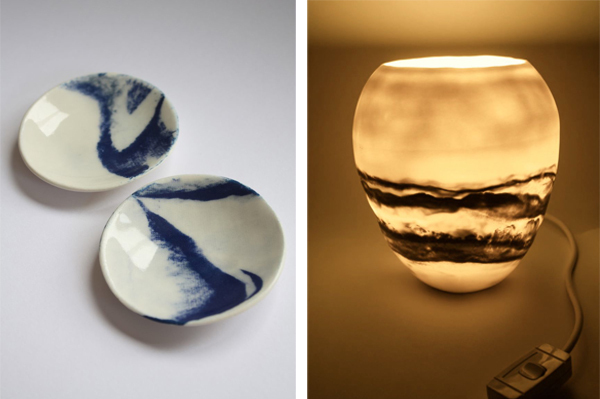 Who are some of your favourite ceramic designers and artists? Mrs Peterson Pottery – I’ve known Brianna for 2 years now and its so exciting to see her work evolving. She is continuously pushing herself and her ideas, creating new and wonderful designs. I particularly love her new cloud range and teapot brooches. Maap studios – I have just discovered the beautiful porcelain jewellery that this lady makes while I was having a browse on Etsy. She creates very organic sculptural pieces, and specialises in wedding jewellery. Anna Culliton – Anna is very talented and has an amazing way with clay. 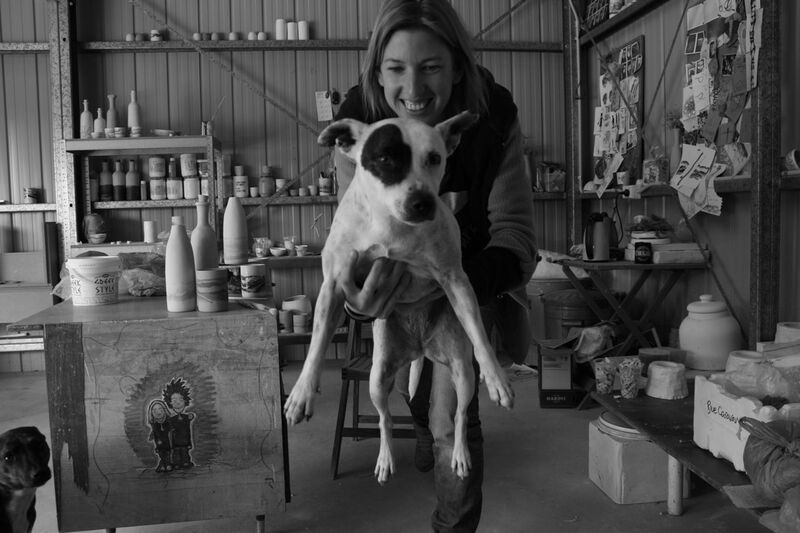 She has a residence at the Lithgow Pottery and has exhibited at the Ng Gallery in Chippendale. Her beautiful thrown forms are always accompanied by whimsical figures sculpted onto the sides or rims. One of my favourite shows she did was ‘Miss Molly’s Ceramic Circus’ with trapeze artists flying out from pots or a dog jumping through hoops around a vase, they’re just wonderful. For Kanimbla Clay, lots of making! I’m going to be doing a new range for this year and bringing a bit of colour to the homewares. I’ll also be concentrating on the Sake sets and electric lights. As for myself, I’m in the process of planning a exhibition with a group of artists which should be happening in Sydney around July. 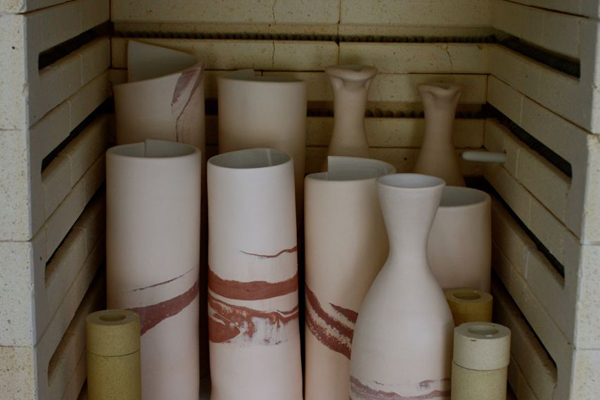 I am interested in stocking the Kanimbla clay product in my store. My store concept is ‘lifestyle’ and I sell women’s clothing, yoga wear, natural products and homewares. It’s a beautiful boutique located amongst many other exclusive stores and cafes. I look forward to hearing from you. Hi Sandra, we would advise contacting Helen direct instead of leaving a comment here on this blog. kanimblaclay@live.com.au Good luck!